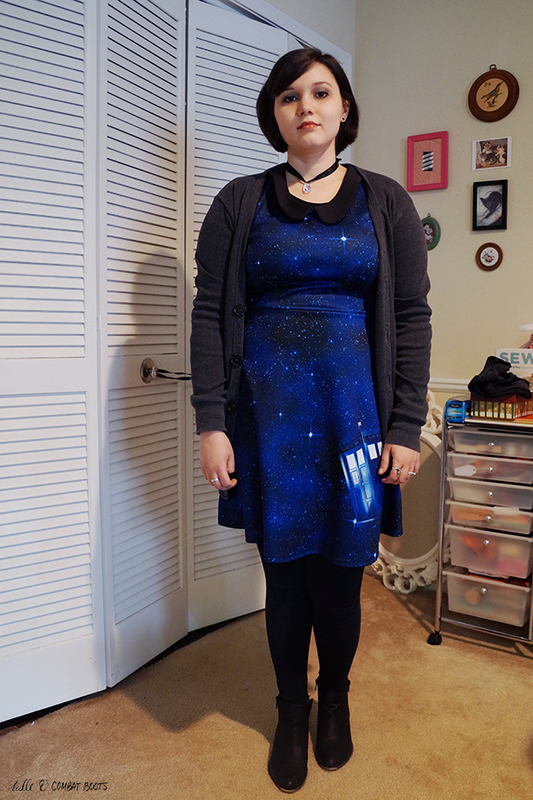 Tulle & Combat Boots: bad wolf. This past weekend we went to a fundraiser at BadWolf Brewing Company, where one of our good friends works (if you're in Northern Virginia, I highly recommend it!). 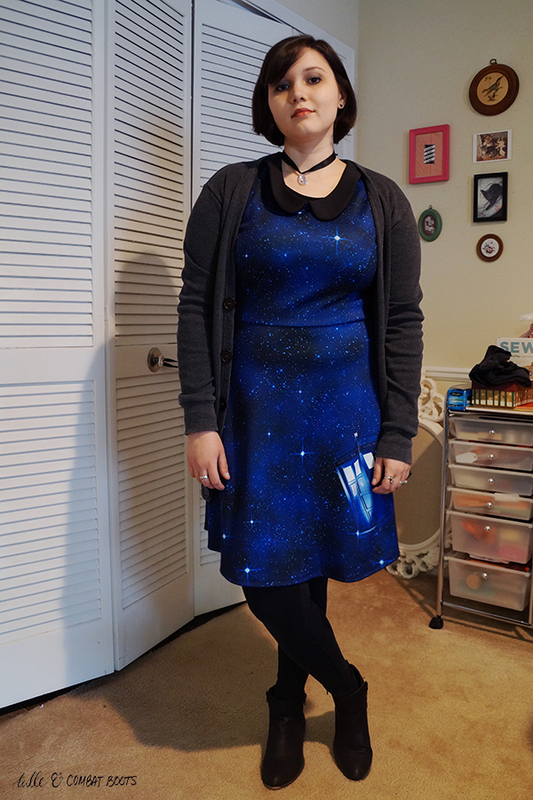 Since they took their name from Doctor Who, I thought it was appropriate to wear my TARDIS dress! Oh, and I got a haircut, finally. I'm really pleased with how it turned out. 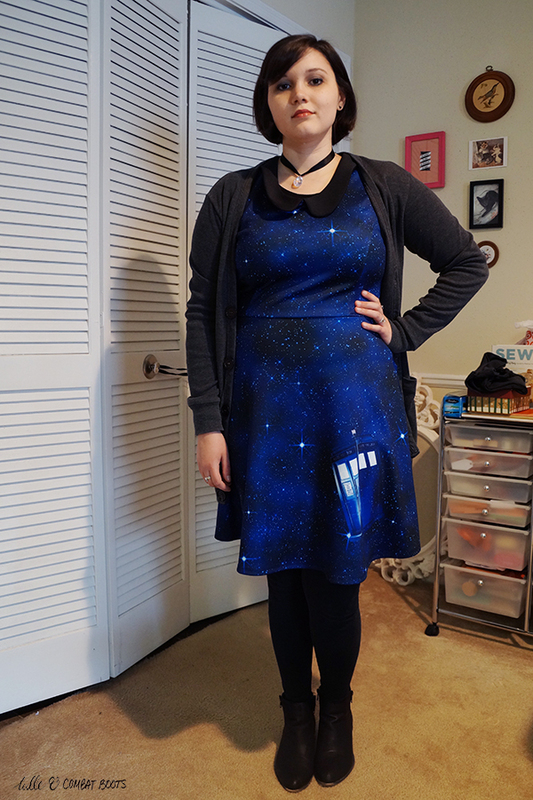 Excuse the indoor photos—it was like winter outside and sometimes it's just not worth dealing with freezing for 5-10 minutes.